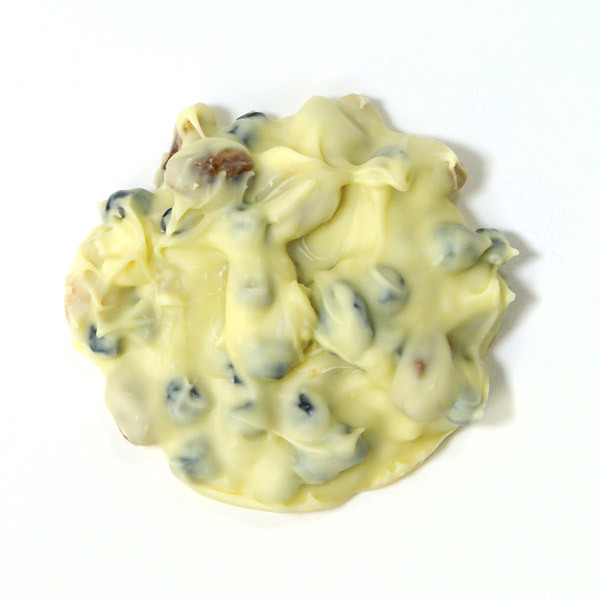 Water/moisture will destroy chocolate. 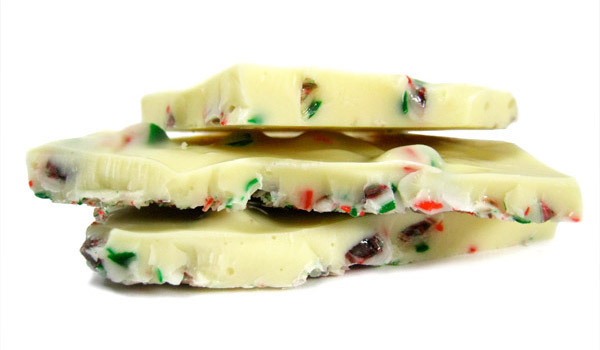 Never put chocolate in the refrigerator, as refrigerators contain moisture. 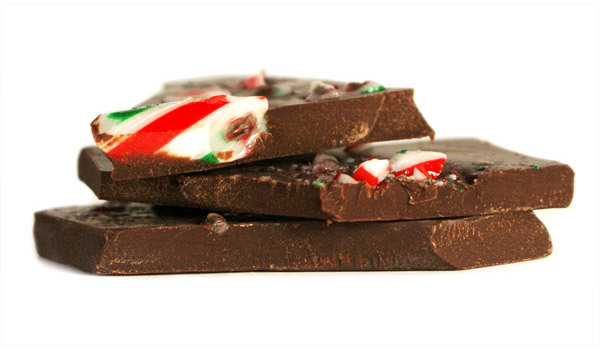 Please store your chocolate in a cool, dark, dry space. A pantry or cabinet is probably best. 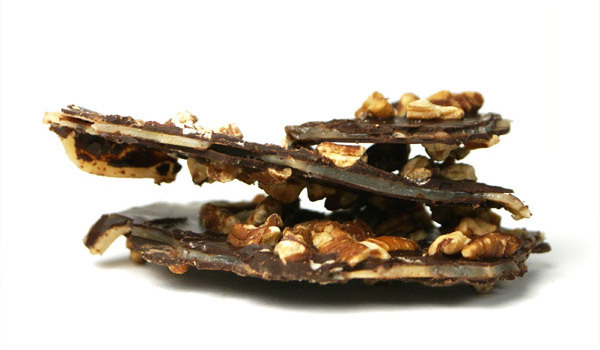 Keep chocolate away from direct light. 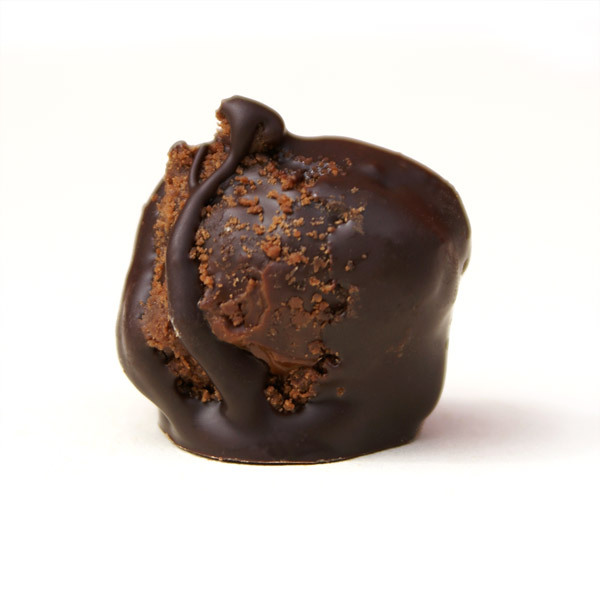 My truffles and enrobed chocolates should be consumed in 4 weeks. Everything else will stay fresh for 3 months. 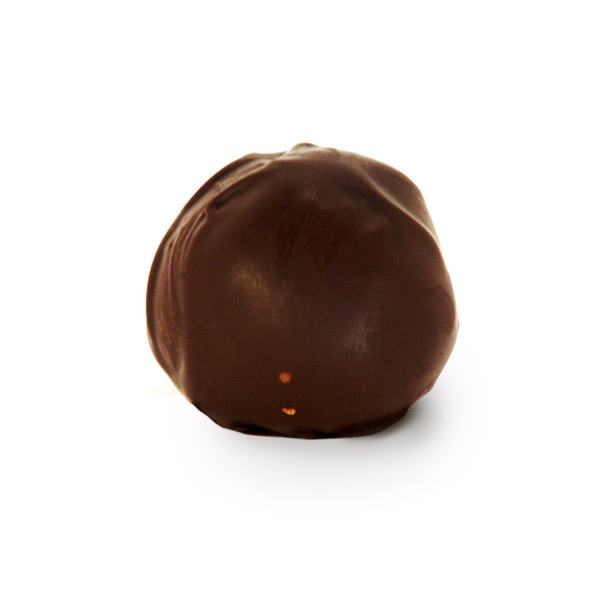 I have had European training, so my chocolates are about the mouth feel and texture. Only sweetened with honey. 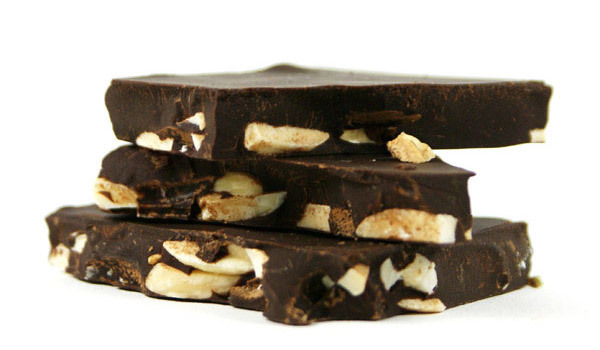 All of the dark chocolate used is 64% cacao. 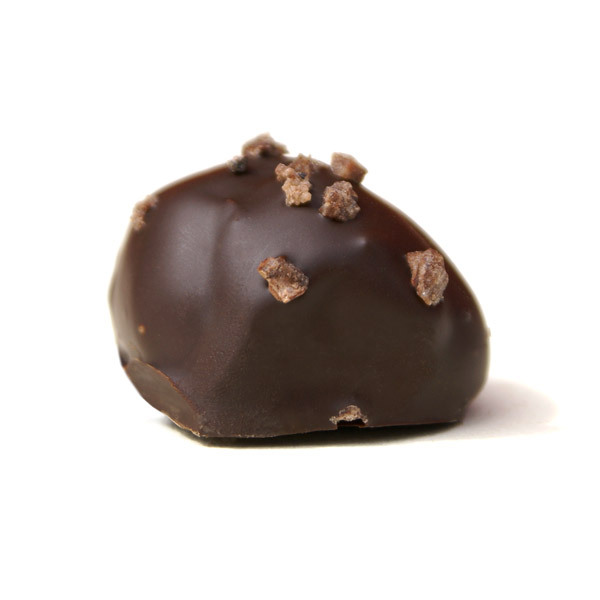 The ganache in each truffle is hand rolled, dipped, and then sprinkled with a hint of the flavored ganache. 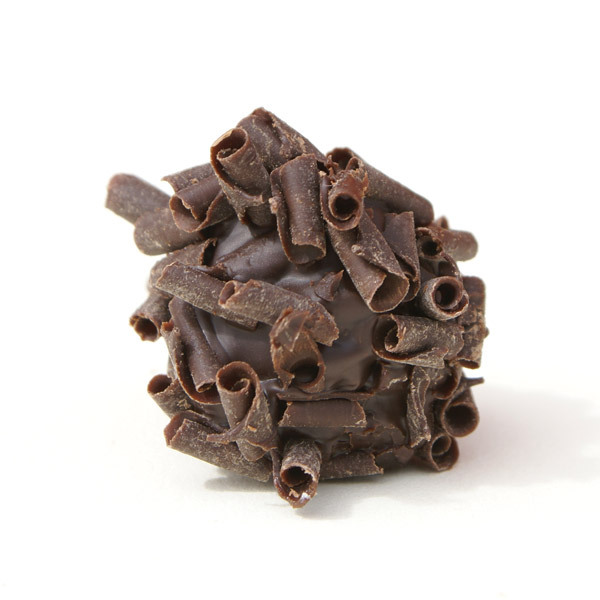 While this is very time consuming, each truffle becomes a delicious work of art. 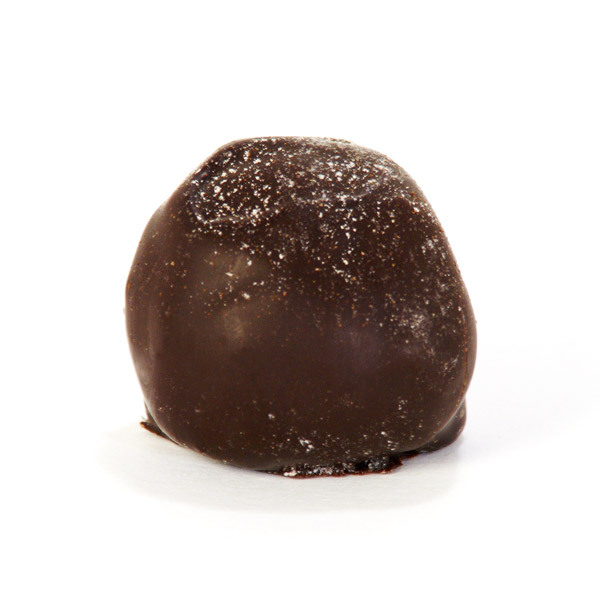 I use all fresh ingredients, no liquor to mask the truffle flavor. 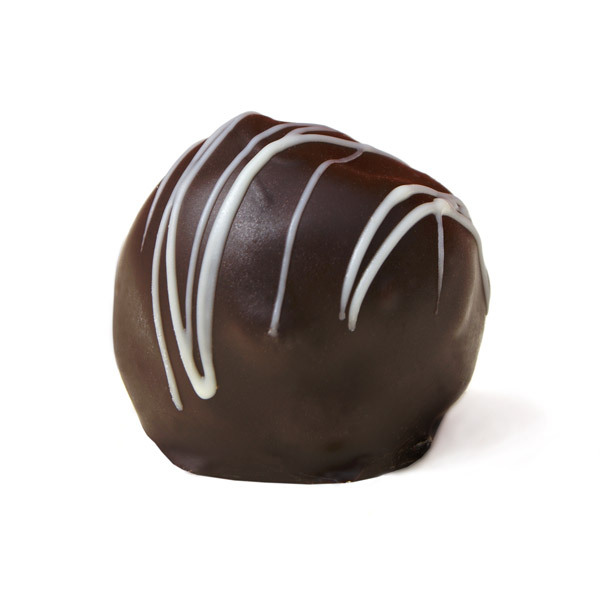 Truffles come in single, double, or triple tray boxes; 9 truffles per tray. Click here to order. 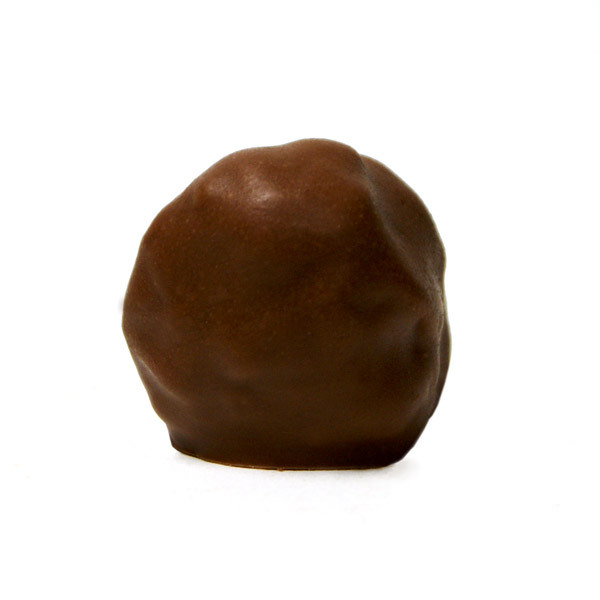 Enrobed chocolates are generally square shaped. 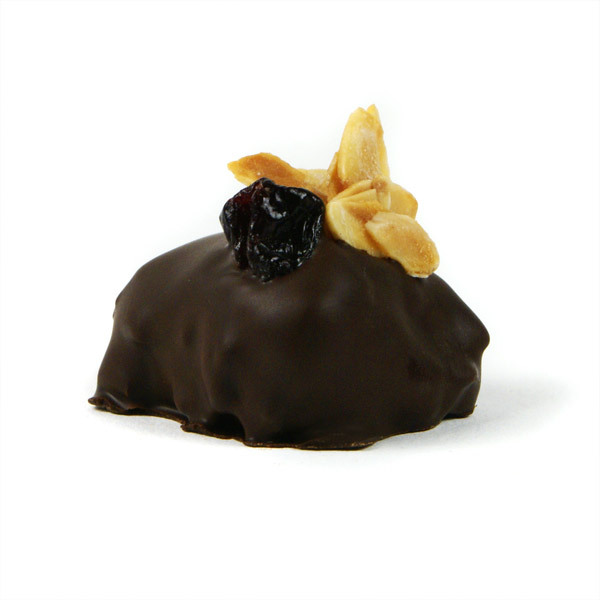 Similar to truffles but often have nuts and texture. Always topped with a hint of the inside flavor. 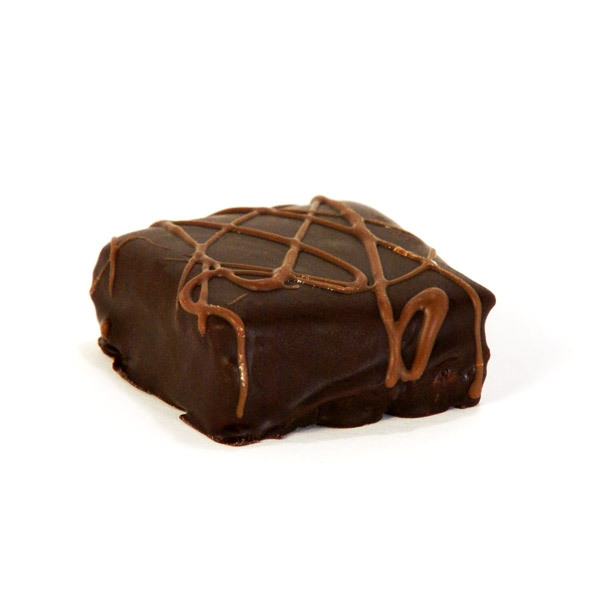 Enrobed chocolates come in single, double, or triple tray boxes; 5 truffles per tray. Click here to order. 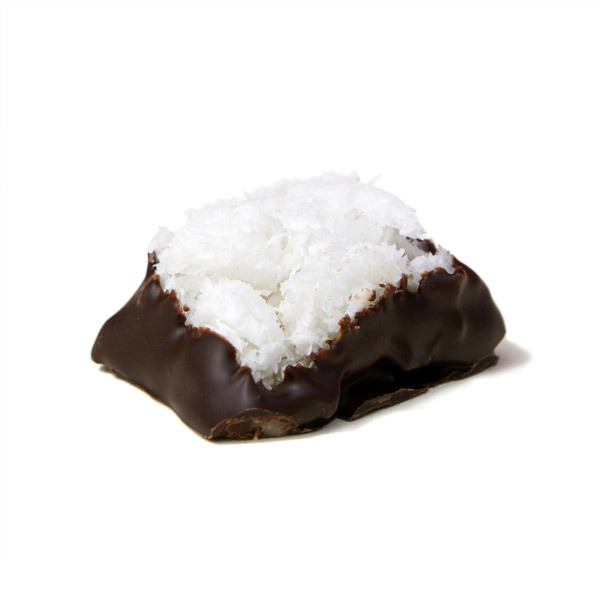 *except coconut square, cashew chew, and cherry almond square. 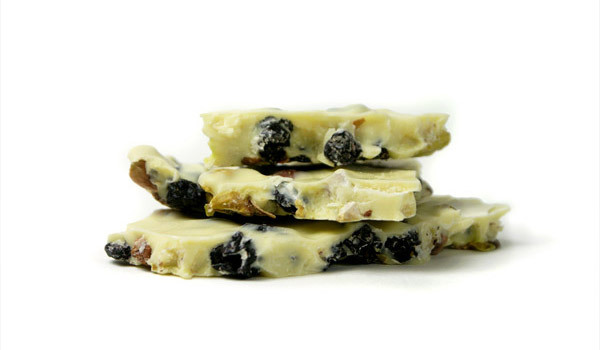 My chocolate bark is tempered chocolate with a combination of almonds, nuts, dried fruit and toffee. Bark comes in bags or double tray boxes. Click here to order. 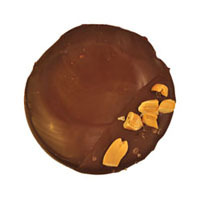 My chocolate disks consist of creamy chocolate combined with toasted nuts and dried fruits. 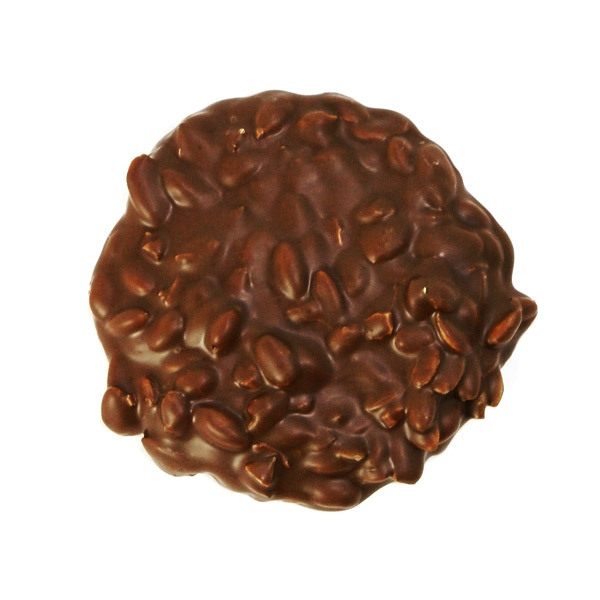 Chocolate disks are the perfect size for one (2 oz each). 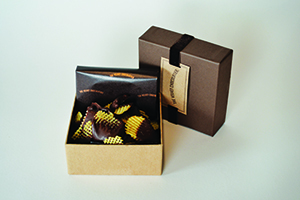 Chocolate Disks are packaged individually in cellophane bags to preserve freshness. Click here to order. 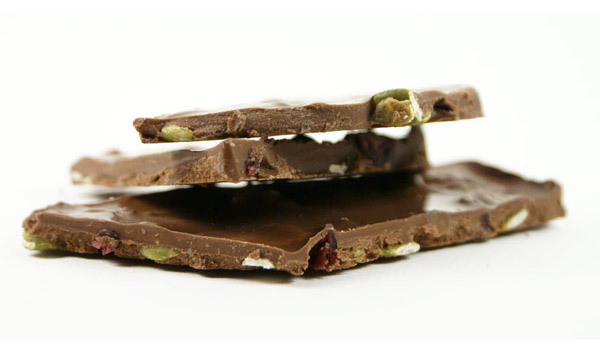 My bite-sized sandwiches are handmade using thin chocolate pieces, 1.5″ in diameter. 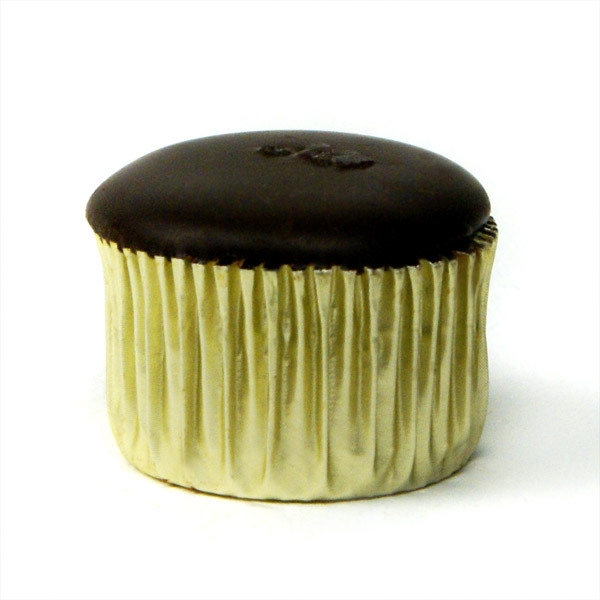 These round disks are spread with ganache and covered with another round disk; topped with a hint of what is in the sandwich, and finally boxed with velvet. Bite-Sized Sandwiches come in a slender box; 5 sandwiches per box. Click here to order. 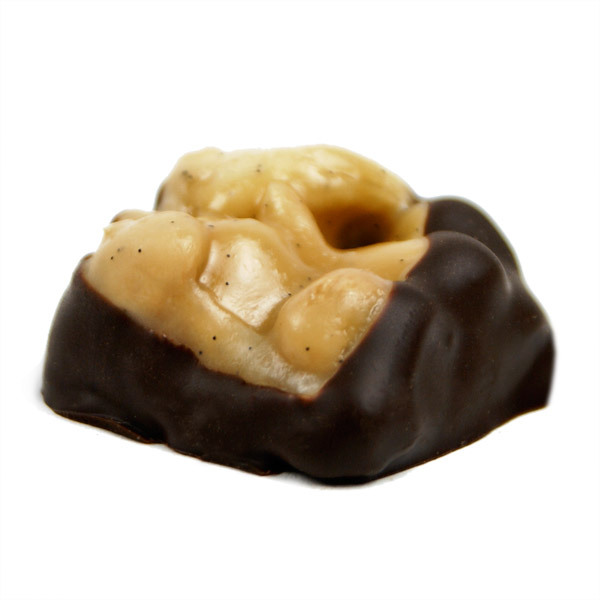 Delicious combination of hazelnut chocolate and crunchy caramel that creates a wonderful topping. 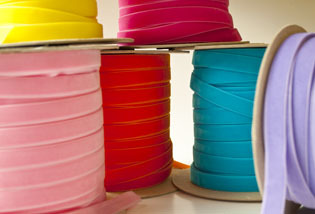 Perfect for ice cream, fruit, pudding, any dessert you can think of. Or enjoy straight out of the bag. The perfect combination of savory and sweet. 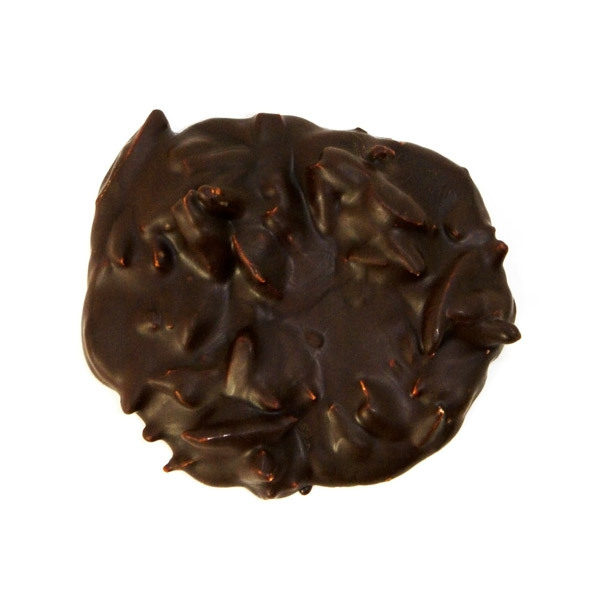 Waffle chips hand-dipped in smooth, creamy European dark chocolate. 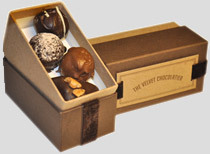 This 4 piece box of assorted truffles can be personalized with names and velvet colors. 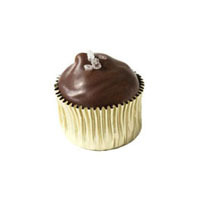 Perfect as place holders and favors for parties. 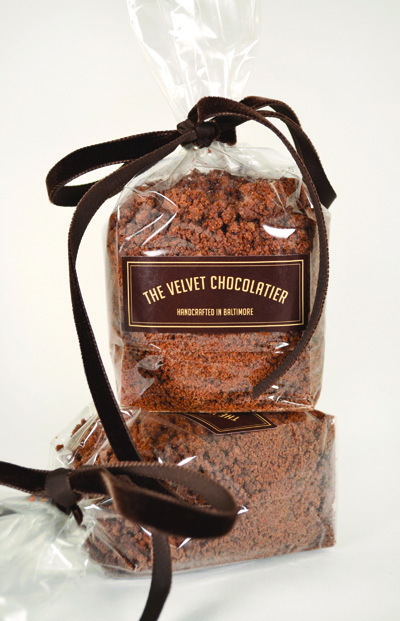 Please email ruthie@thevelvetchocolatier.com to discuss all of the options.